PAT CROSSLEY/Sun-Gazette Members of the Williamsport Bureau of Fire are joined by other area fire departments as they battle a blaze at Wililamsport Elderly Housing Monday afternoon. The fire was contained to one apartment and Fire Chief Todd Heckman said damage was minimal. 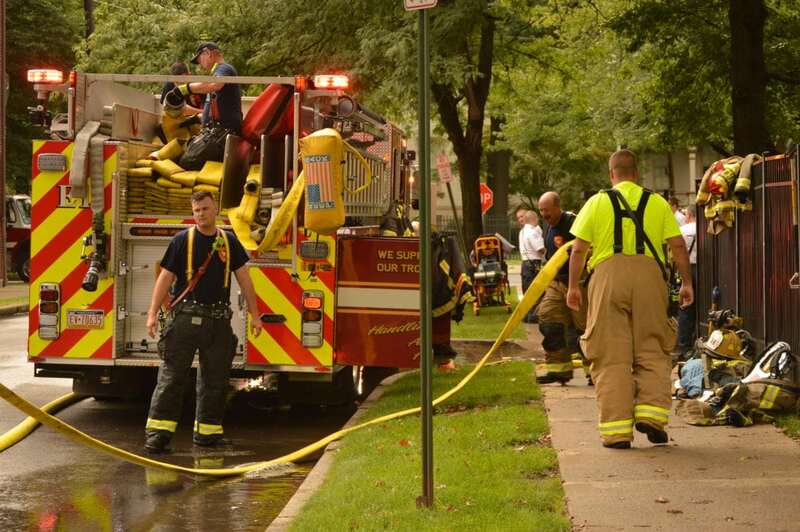 Williamsport firefighters responded to a kitchen fire at about 4:30 p.m. Monday. No one was reportedly injured in the blaze, which was confined to the stove of a single unit on the seventh floor of Williamsport Elderly Housing, 798 W. Edwin St.
City Fire Chief Todd Heckman said three people living in the high rise apartments were taken to UPMC Susquehanna Williamsport Regional Medical Center for anxiety and/or precautionary measures. Russell Smith, a city resident, said he observed smoke coming out of the north side of the apartment building. He said his mother, who lives in the building, was helping people exit the structure. 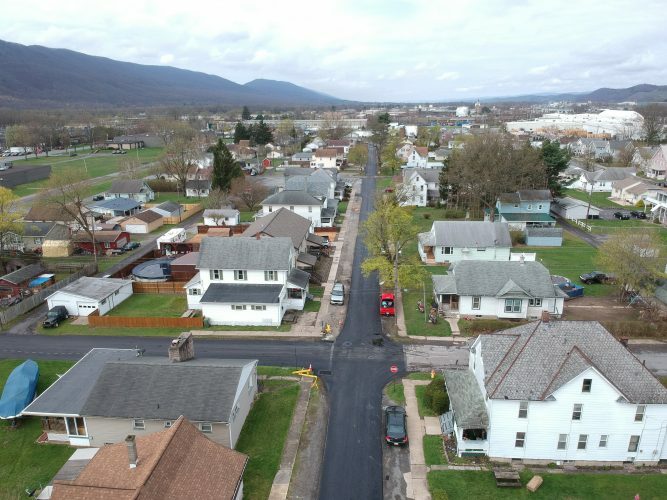 Firefighters from Old Lycoming, South Williamsport, Loyalsock Township and DuBoistown also were called to the scene.